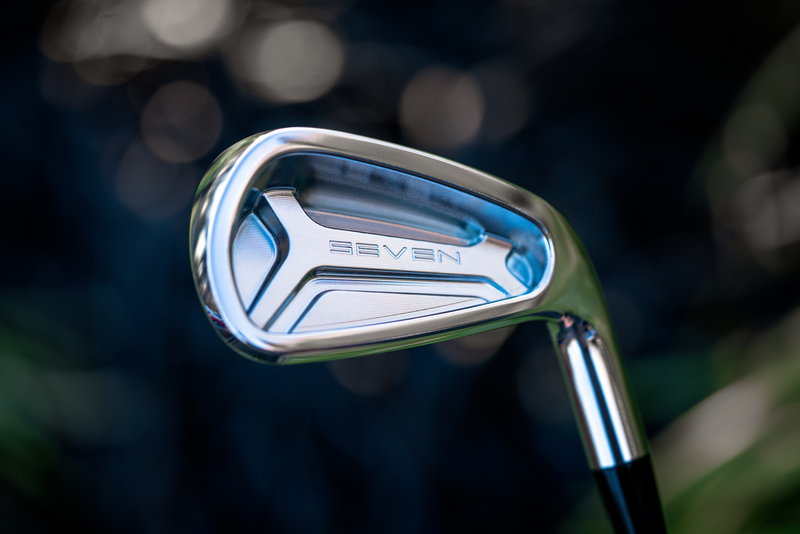 Once you hold one of the new generation SEVEN Irons CB or MCB in hand, you will see the difference in quality, shape, and detail. 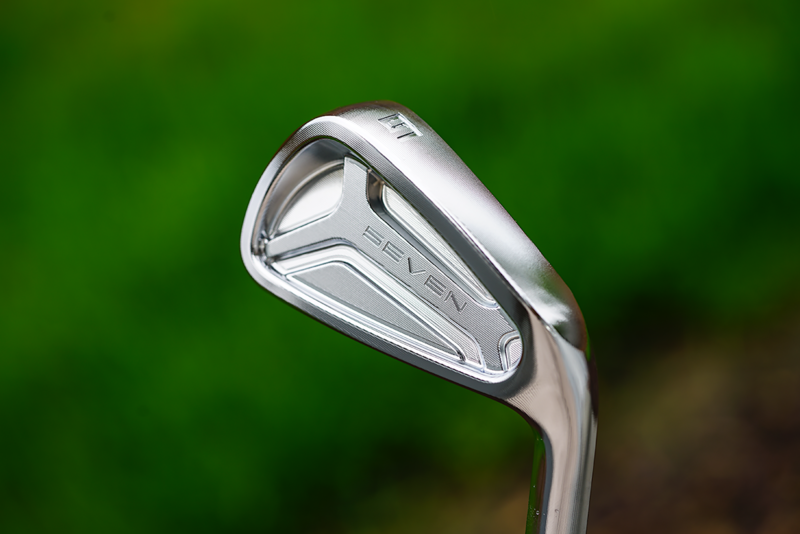 These are on a different level when compared to SEVENs previous products, and the brand is committed to reproducing the entire line up so the performance, feel, and design is consistent with these new irons. The face shape plays a significant role in how well these perform. It’s not chunky in any one area and balanced well throughout. We selected particular irons from other makers to compete with and uncover what attributes allow smaller sized heads pack ample forgiveness. The concept I came up with is I call stacked metal, and it means no portion of the head should be too thin or thick, all dimensions must be flowing with consistent thickness throughout. This allows it to be thick and dense yet still compact. 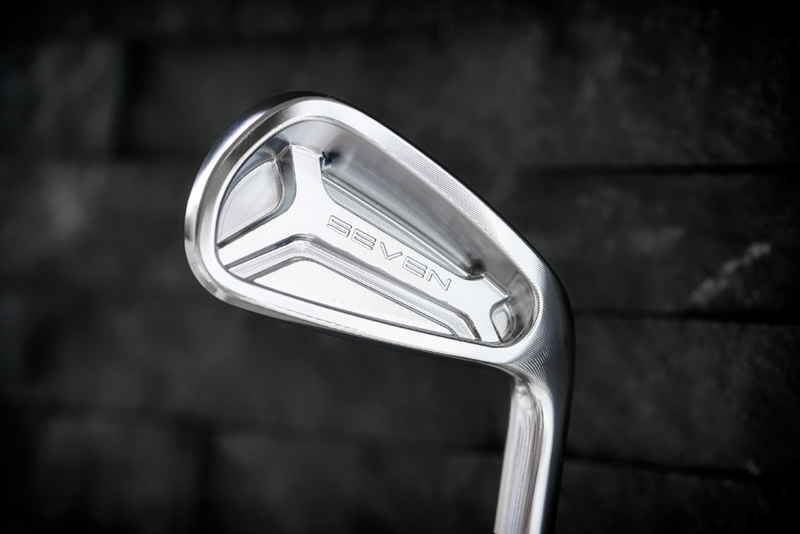 The clubs in these photos are prototypes let me explain; The new SEVEN CB and MCB come in full milled body or hand polished body options. 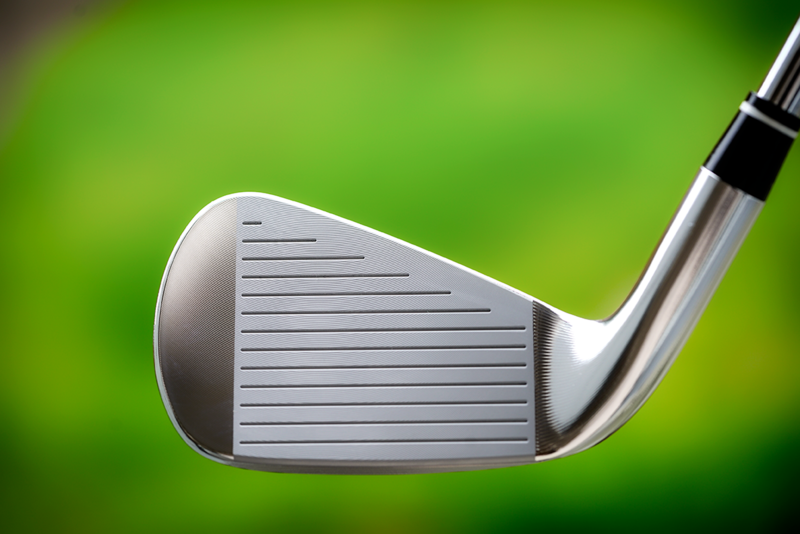 Both are made the same way its just an extra step is taken in the hand polished version to remove the intricate milling found over the club heads entire surface. It’s personal preference, and we do not charge any more for the polished version. We sell more full body milled than polished, yet I play polished. What else is different is there no bead blast within the cavity we selected a beautiful and quality bead blast to go inside the cavity to give it a more refined look. I will post pics later, the new heads have just arrived at TSG, and we are shipping all back orders of the MCB immediately. 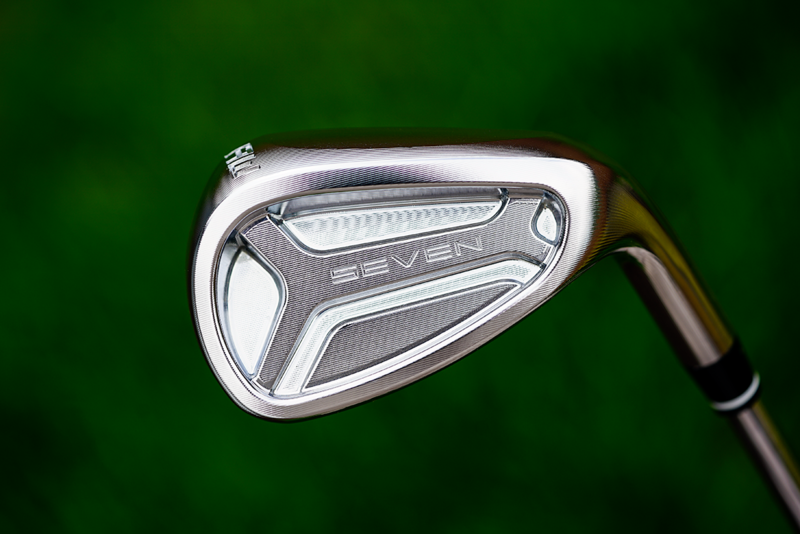 Several other prototypes were made to test different shapes even an undercut cavity. We found no improvement in forgiveness with an undercut versus without. It features a very thick cavity yet on the sole does not look wide. No other mid-sized players CB has this little offset. This is the same face progression you would find in a compact players blade and while yes offset is our friend one of the most overwhelming requests in a mid-sized CB is the absolute the least amount of offset possible for good performance. FP 4.5-5.5 through the set! 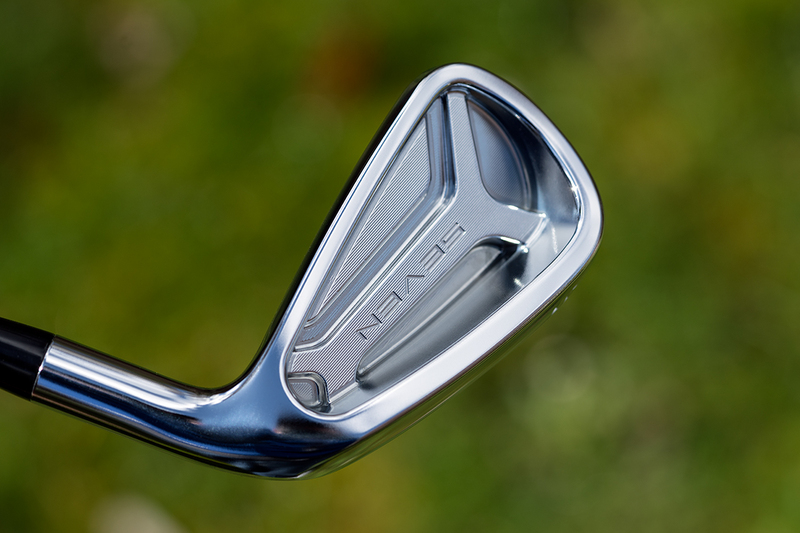 We set out to make a shape, feel, and forgiveness that would rival or better irons like the previous ONOFF KURO, Titleist VG3 Forged, Callaway Stenson’s, and an elite group of others which we defined as the benchmark. We have surpassed our expectations in not only each of the categories we initially set out to conquer but one area especially surprised and it was a noticeable quality difference. 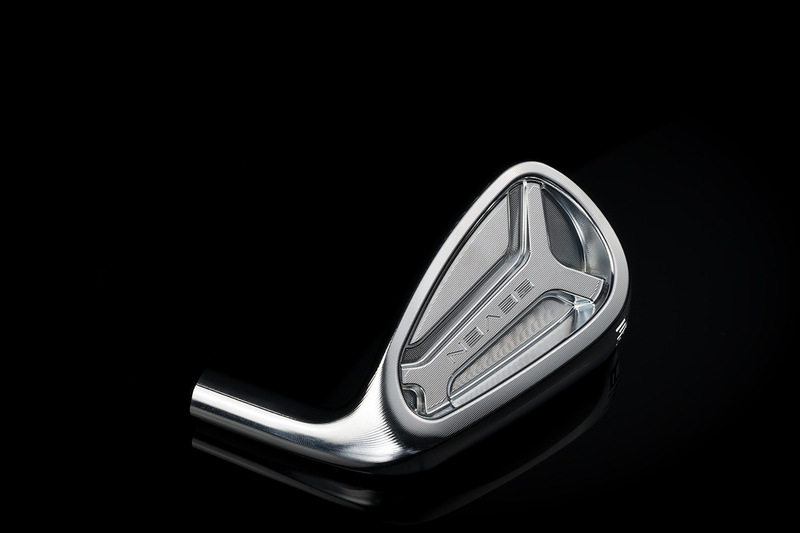 Above the full body milled version shows off whats truly unique about the new SEVEN CB and MCB irons Full CNC, and this is not just an effect or milling over a shaped head this is the entire hosel, neck, and all transitions transformed into the AutoCAD design. Precision done in Japan. A deep cavity is hidden beneath a mid-size sole. 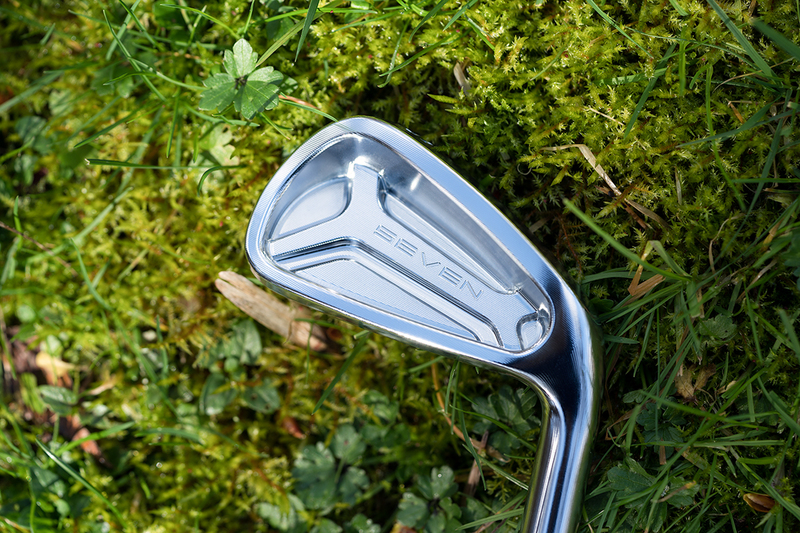 The MCB’s sole design is flatter and wider with a killed leading edge it can support the better player who wants forgiveness or, the more casual golfer who still appreciates a nice looking club at address. 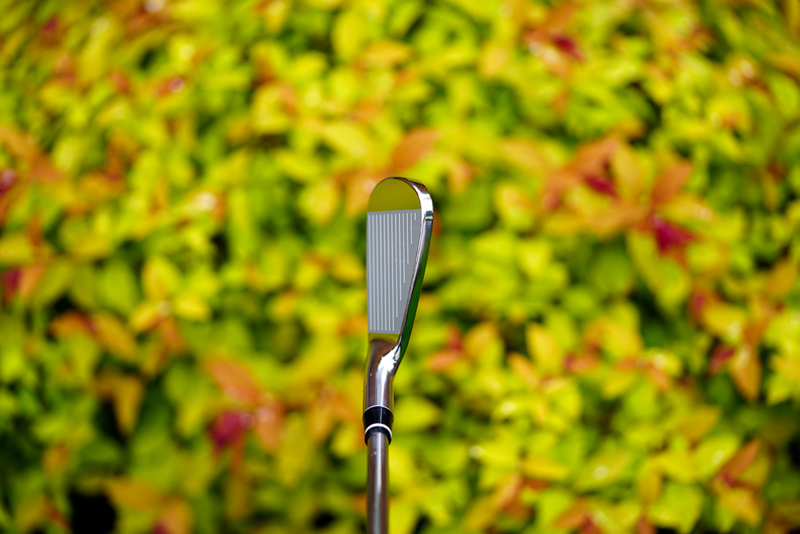 The leading edge is pronounced it supports players with a slightly steeper attack angle yet will please semi shallow sweepers with ease. How do these feel? Soft for sure, some of our advanced testers use the word addictive. 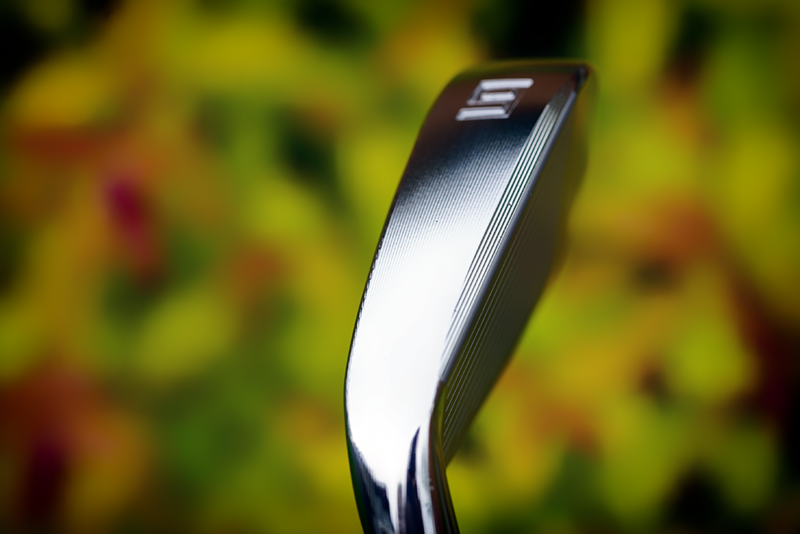 The entire face has CNC milling on milled grooves which change the relationship with vibration time and feel much like a putter with deeper milling feels softer at impact. But that is not the only way these feel different because these are not pressed or forged to shape the entire face feels like butter at impact. Not gushy soft but a cold firm dense stick of butter. 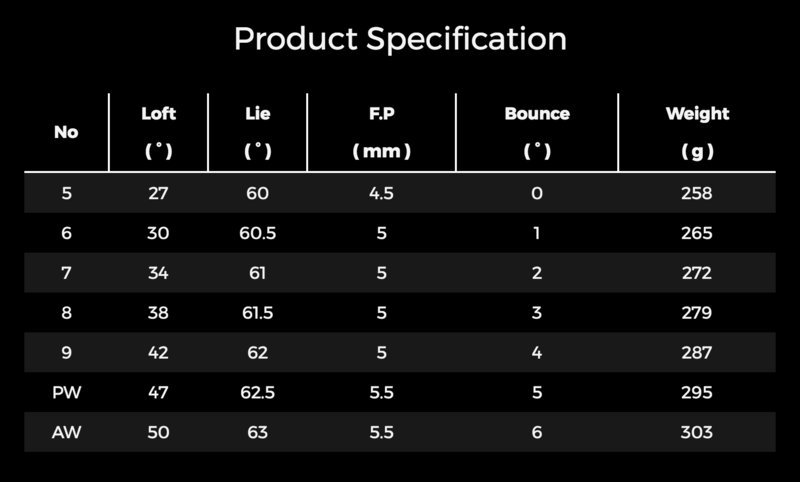 In the chart below you can see the MCB has the least amount of offset in its segment. The Lofts are traditional by today’s standards with a 47* PW. 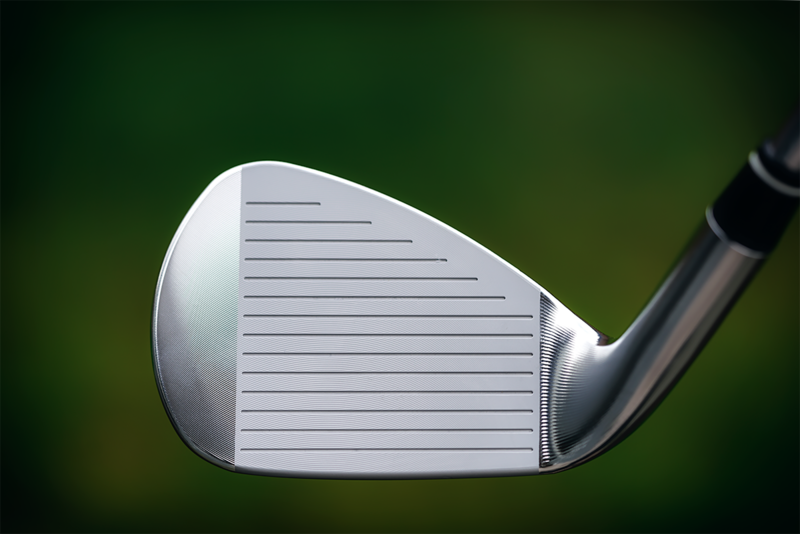 You may also notice that we have a set dedicated AW, We see most players have distances gap issues between their PW and first blade wedge, so we created a 50* to supplement and highly recommend this as it will save you some strokes. 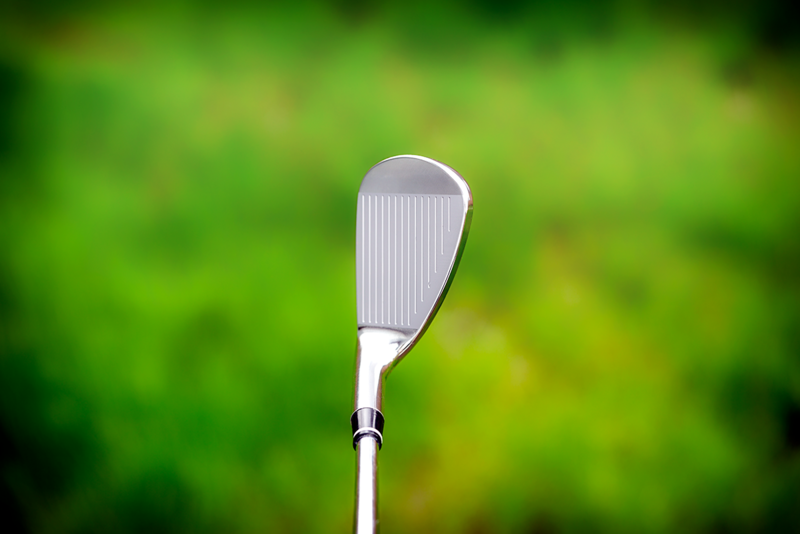 The AW has a more narrow sole which allows the player to open it up the same way consistently. This is another area where the CB and MCB are different. The CB as it moves into the wedges gets a thicker sole while the MCB gets more narrow we found this a unique way to give the MCB some extra points with the better player. I play the MCB, and my favorite club is the AW. I used to hit my PW about 125 yds yet my AW only 110 yards, muscling up or de-lofting was rarely a smart decision. The 15-yard gap of missing distance seemed to be a popular one for me on course. I had this issue, and so did many of our customers. 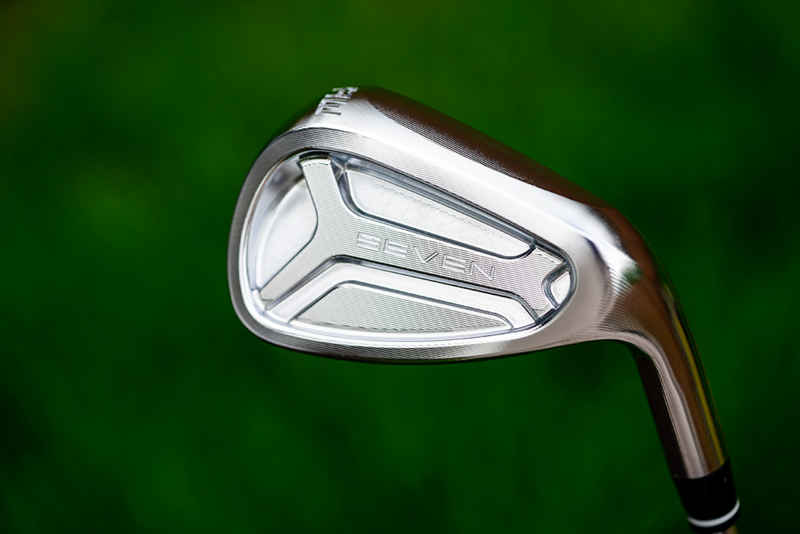 We avoided creating short irons that were shovels at all costs. 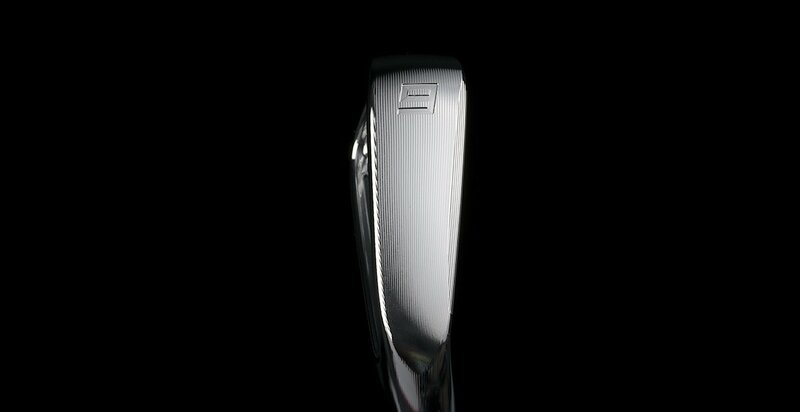 Even our cavity design 50* wedge looks like a blade wedge and matches the feel, performance, and distances of the full iron set. By using CNC to produce the shape, the neck transitions are perfect the top line thickness is consistent from heel to toe, and with a CNC milled face, you can be sure it is totally flat. 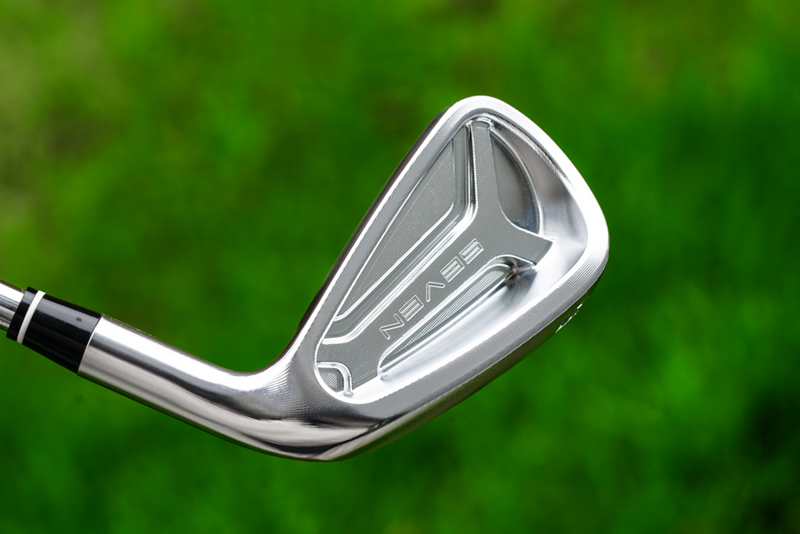 Even our finish is better, we took many leading brands even Japanese irons and tested our finish against their using nails, razor blades, hammers, and hitting sand balls the durability is the best of any plating we have seen. If you’re feeling sadistic please, by all means, put it to the test. The Japan and Korean markets will be receiving limited edition double gold IP heads with mist bead blast, and black paint fill so stay tuned for those! The New SEVEN MCB is now shipping and ( available here ) – Remember that the final version has subtle improvements over the prototypes ones used in these photos. The inner area of the cavity has a beautiful bead blast which makes them look more expensive.